Along with household decor and gadgets for sale on Amazon, shoppers can also add a rather unusual “accessory” to their carts: a genuine rabbit’s foot. 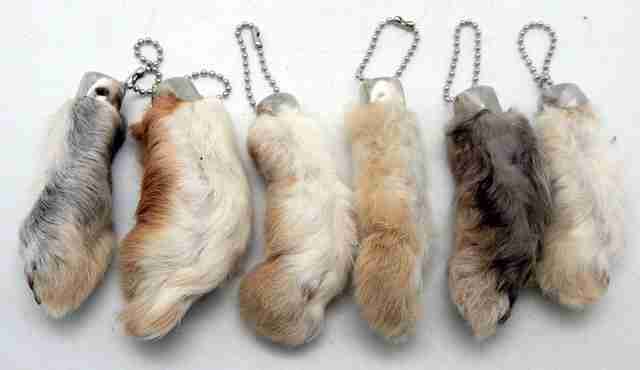 Ranging in size and often dyed bright colors, the feet are sold for just a few dollars and include all the rabbits’ nails and bones. They even come with a small link attached to the end to make it easy to attach to a keychain. Across the world, rabbits’ feet are considered a good luck charm — but animal advocates say the strange trend brings anything but good luck. 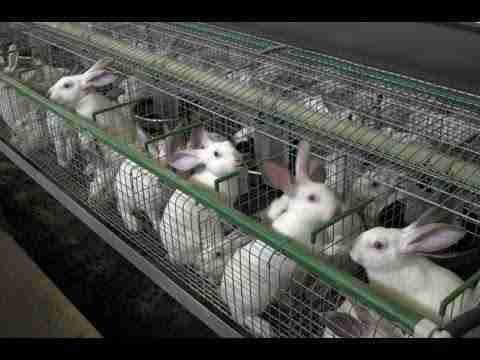 The feet are typically byproducts of the rabbit meat industry, where rabbits are kept in tiny wire cages with no room to stand or hop. They’re often stacked in rows on top of one another, which causes animals on the bottom rows to continuously get sprayed with urine and feces. 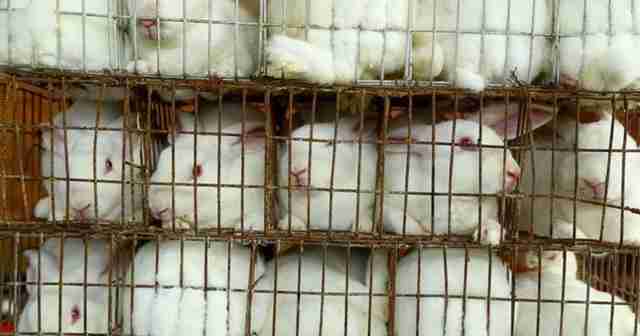 As highly social and curious animals by nature, the constant confinement is mentally debilitating. In loving pet homes, rabbits can live 10 years or more — but most within the meat industry are killed at just 3 months old. Their feet are then sold as a novelty item while the rest of their body is sold as food. Negative reviews on some of the items complain that they smell bad or that a toe had fallen off after a few days — while others gave them five stars and mentioned it was “sad, but cute.” Other reviews are left by animal advocates encouraging people to choose a different, cruelty-free fashion statement. 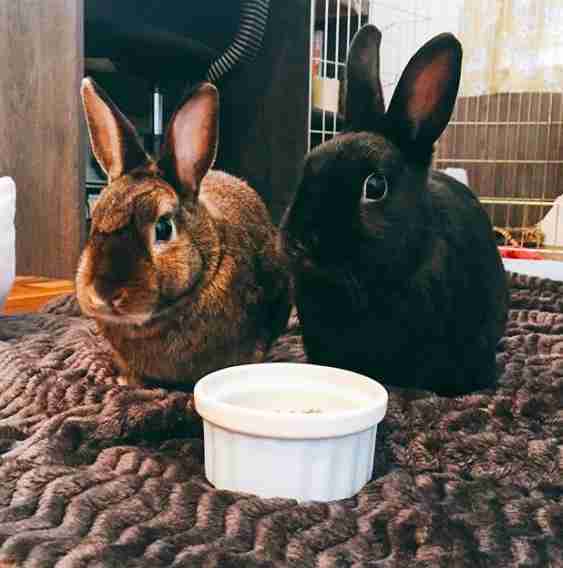 Recently, a rabbit owner disgusted by the trend created an online petition to push Amazon to remove the products from its site, noting the cruelties involved in procuring them. It's garnered more than 129,000 signatures. As the pressure on Amazon continues to mount, Martin hopes the company will reconsider its role in supporting the cruel industry — and that shoppers will choose to make a positive impact on a little bunny in need instead of buying something that claims their life. 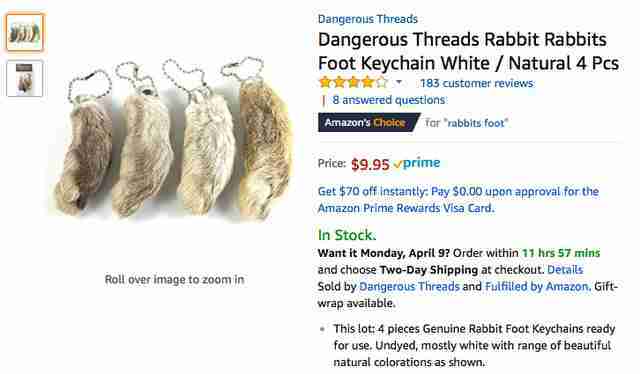 To urge Amazon to stop selling rabbit feet, you can sign this online petition. To help rabbits in need, you can make a donation to the House Rabbit Society.